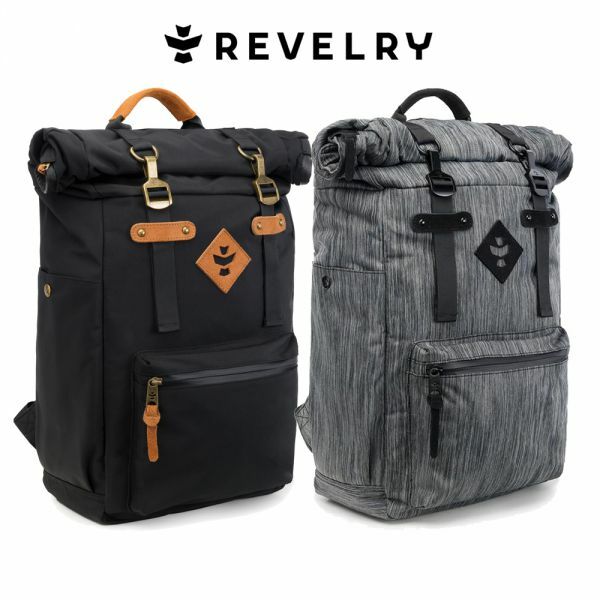 Revelry’s revolutionary odour absorbing and water resistant Drifter rolltop backpack is the perfect product for avid adventurers and features a range of storage solutions for you travels. The Drifter Backpack has a custom system of layers starting with a rubber-backed woven nylon which protects the dual carbon filter while adding an extra layer of odour protection. The inside of the backpack has a cotton lining, adding a soft touch to protect the contents of the bag. With a capacity of 23 litres, the Revelry Drifter Backpack can hold a large amount of contents making it ideal for long adventures. The double clip closure, waterproof zippers and countered shoulder straps makes this backpack strong, protective and comfortable to use for hours on end. Measuring 20 x 13 x 6 inches, this backpack is great to use as hand luggage on flights and is available in two great colours, black and striped dark grey. We are happy to introduce this new line because it is acknowledged that Sativa Bags have quickly established themselves as being at the forefront of eco-friendly design and they are comfortable, durable, and eye catching as well as being environmentally friendly. A quick look will confirm that this Sativa Shoulder Bag that we are offering is practical and made with environmentally friendly Hemp and Cotton mix of 55% Hemp and 45% cotton, making it very durable. Ideal for everyday use, and amongst the many features is the magnetic button lock hidden behind the front buckle fastening which deters pick pockets, but at the same time and gives the user quick and easy access. 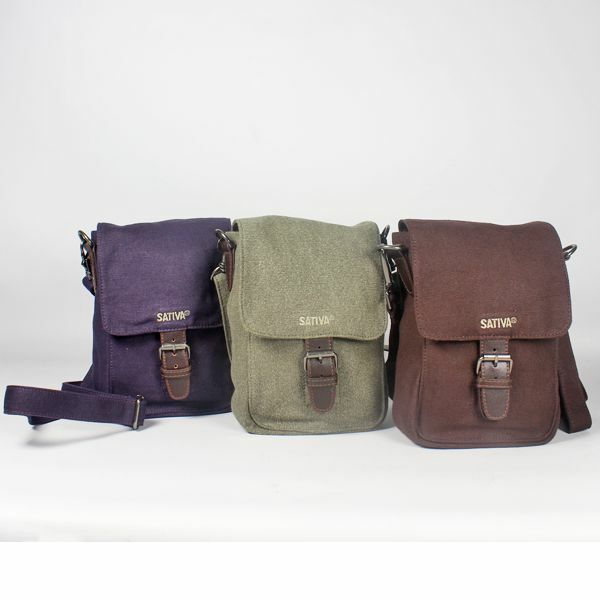 The Sativa bag is versatile too, the shoulder strap is adjustable, it can also be removed if required, it can be used as either a shoulder bag or as a or waist bag thanks to the magnetic button fastening strap located on the back. Inside the bag there are three compartments, plus a key holder has been added to prevent your keys from damaging the attractive and practical Sativa branded lining. With a size of W-17cm; H-23cm D-7cm the bag will store plenty of everyday items and the size also makes it perfect for using as a carry-on bag that will not upset even the most “picky” of budget airline check in staff giving them nothing to worry about when you go on holiday; offered by us in four attractive colours, Brown, Grey, Khaki or plum, at the very affordable price of only £32.99.